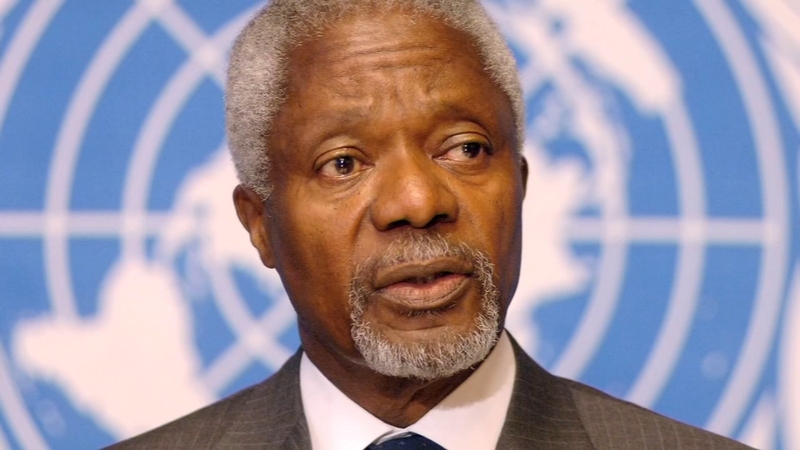 Kofi Annan, the diplomat from Ghana who became the seventh secretary general of the United Nations, died on Saturday, in Bern, Switzerland. He was 80. His death, at a hospital there, was confirmed by his family in a statement released by the Kofi Annan Foundation, which is based in Switzerland. It said he died after a short illness but did not specify the cause. Awarded the Nobel Peace Prize in 2001, Mr. Annan was awarded the Nobel Peace Prize in 2001 and was the first black African to head the United Nations, doing so for two successive five-year terms beginning in 1997. Our thoughts and prayers are with the Annan family and friends.